The result of intense technical design, the Dolly folding char combines a sophisticated and solid structural system with overall design elegance and formal agility. Available in different colours including vivid chromatic tones, the seat is made of the same plastic material as the structure to help it adapt to any setting. 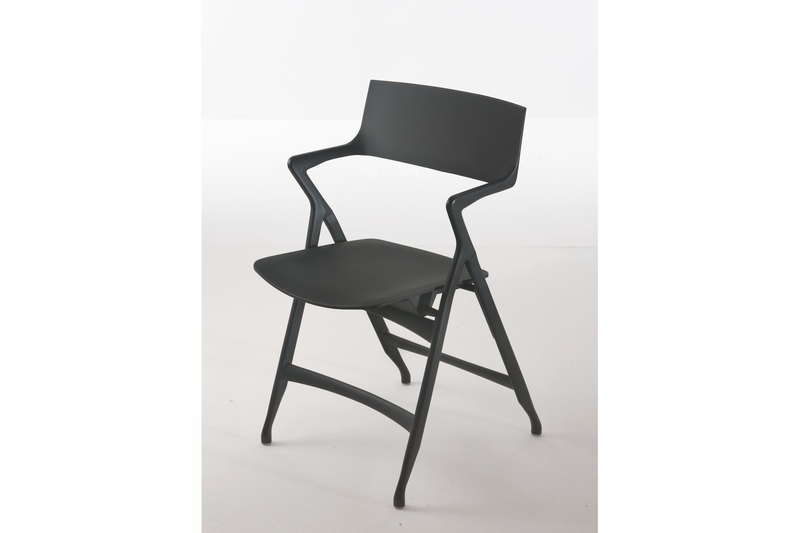 The plastic-seated version is appropriate for a wide range of surroundings, from the home to the office, and due to its durability and easiness to clean, the itemâ€™s appeal extends as far as businesses.